This is the first and last look with my blonde hair. I got ride of the blonde after about a week of having it. I am back to ginger and much happier lol. But let us focus on the look. I wanted to have a nice array of colors that all work together nicely. I decided to start with yellow, then added orange and red, and then added the purple to really deepen those color and here you have the end result! 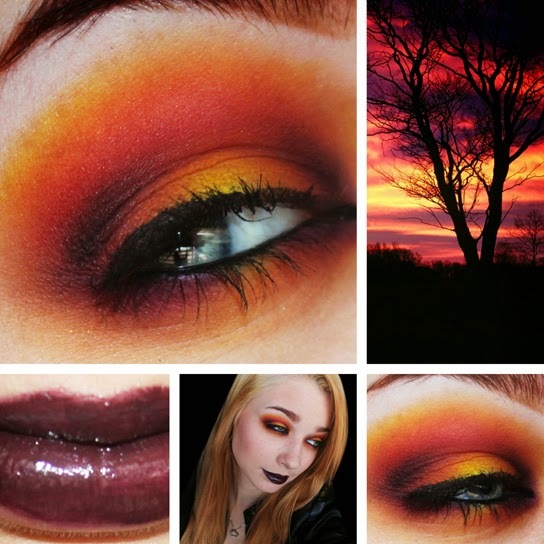 Sunset Gothic! Gorgeous!!! Love the lip colour! Love this look & I LOVE the blond girl! Sorry it's late! Valentines Day look!